With the evolution of social media, the world we live in has become very small today. Just at the click of a mouse or the swiping of a finger, we can easily connect with friends and families. It’s really amazing how social networking sites such as Facebook, Twitter and WeChat have transformed our way of interacting with people around us. More importantly, social media has helped us reconnect with even the lost generation of friends and relatives who have been separated by time and space. A couple of weeks ago, I was invited to a WeChat group forum called “Jigsher 2000” which was created by some of my former classmates to reunite us at least on social media. For the first time in 17 years, I could hear the voices of my former classmates with whom I had studied together in the year 2000. It was very exciting for all of us to talk to each other and relive the memories we had created together 17 years ago in Khaling. 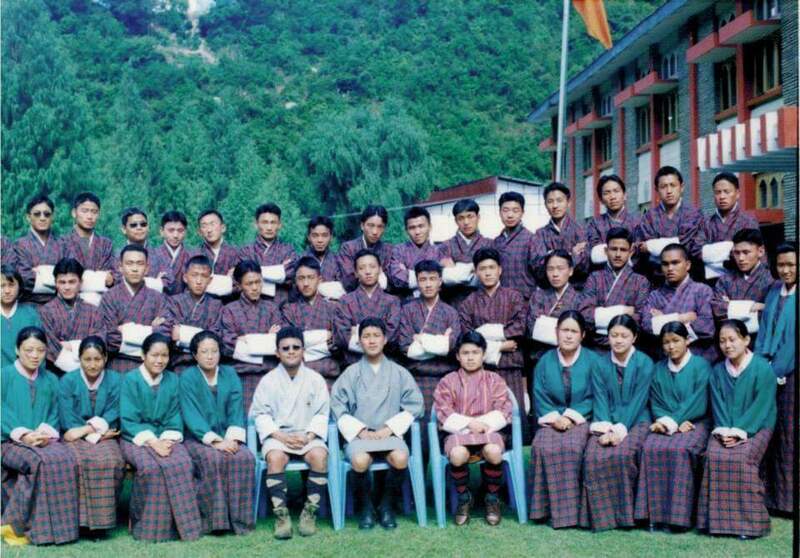 Many of us had not met even once after we completed class 12 but thanks to social media, I feel we are together again. The completion of class 12 board exams in early 2001 had marked the end of the path we had walked together for two years. We were all standing at the juncture of our life, not knowing what future held for us. Our paths soon diverged into different directions and we had no option but to follow the one we thought would reach us to the kind of future we had imagined. I had not thought that our paths would cross again. The past 17 years have really transformed our lives. From being raw and innocent high school students, we all have managed to cut our way through the turbulence of life and successfully transition into the world of responsible adults. Today, I am very happy to know that none of my former classmates who are in Jigsher WeChat Group has been left behind. Some have become teachers, some have become successful business people and others have become civil servants holding important positions in the government. This is the future that had awaited us since our school days. This is the kind of future His Majesty the Fourth Druk Gyalpo had meant when he reminded our generation that the future of our nation was in our hands. Only today, I have realized what it means to inherit a great nation and make sure that it is safely handed over to the future generations. 17 years ago, I had no idea what His Majesty the Fourth King meant when he said “The future of Bhutan lies in your hands”. It kept me wondering how we would be able to decide the future of our nation as ordinary civil servants. But today, I can see my country through a completely new perspective. When I see people from my generation working in various key positions both in the government and private sectors, I know this is how we become part of the task force that decides the future of our nation. This is exactly how even the youth of today should inherit our great nation when they grow up and take us further into the future which is more safe and peaceful for the generations that follow.